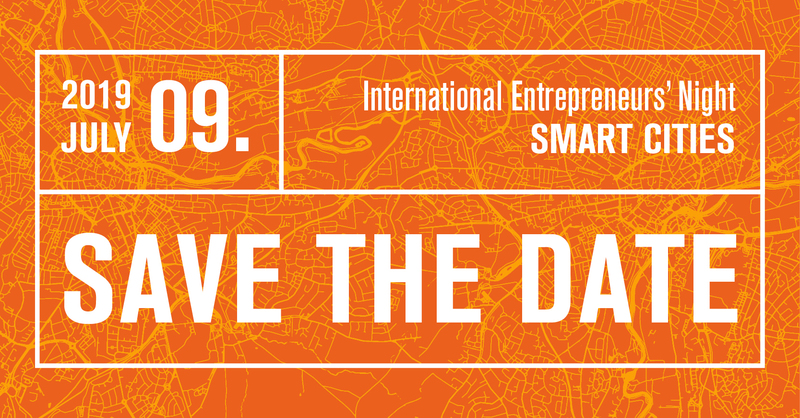 With a strong focus on Smart Cities UnternehmerTUM’s International Entrepreneurs’ Night features international role model metropoles that share their take on innovation and liveable cities. Bits & Pretzels is a 3-day founders festival that connects more than 5.000 startup enthusiasts with successful Speakers and Table Captains like the founders of Virgin, Airbnb, Evernote or Zendek. MUST – The Munich Summit is an annual 2-day event, bringing together cutting-edge science and technology startups with industry leaders and investors, initiated by Munich’s top university centers for entrepreneurship. The innovation festival that will allow you to meet global change makers & cutting edge technologies! It is a platform for global change makers to empower digital innovation and social impact. Subsidized program for young innovative startups that want to establish business contacts and join the platform for marketing their products in new global markets. The competition will connect foreign startups to China’s hi-tech industry. This is a unique opportunity to explore business opportunities in “Silicon Valley” of Asia. Bayern International and the Bavarian Ministry of Economic Affairs offer Bavarian SMEs the opportunity to present themselves within a joint booth at trade fairs around the globe. Maze X is an accelerator programme created to transform ambitious entrepreneurs who are tackling the world’s hardest social and environmental challenges to impact unicorns. Develop impact solutions on the topic “Oceans & Waters”. This program will enable you to access entrepreneurial opportunities through perspective of both impact and business. German Accelerator supports high-potential German startups in successfully entering the U.S. and Southeast Asian markets. This event is an opportunity to get insights, join the community and meet the team. A high-energy, big-idea event, gathering the world’s top most inspiring entrepreneurs around five innovation sectors: Agriculture, Connectivity, Energy, Health, and Water. In cooperation with UnternehmerTUM, GoB2B Munich organises workshops and training sessions for Danish entrepreneurs providing them with essential skills, knowledge and tools to collaborate with potential German partners. The French-German Chamber of Commerce is looking for the second batch of European startups for its Access2Europe programme hosted by the HEC Incubator at Station F.
The European Startup Festival is an inspirational 2-day event (+ a fun Sunday with a city tour) that connects start-ups with investors, incubators and accelerators. Canada’s largest startup event, for aspiring founders, ground-breaking innovators and veteran entrepreneurs from around the world. Climb@thecamp is a 3-month tailored program in the heart of Provence for early-stage entrepreneurs that want to shape the future of food and mobility. Call for start-ups to tackle pressing challenges identified by the maritime corporates with their technologies. Teams will meet and pitch to win cash prizes up to $10,000. Come and learn from international experts how to scale your startup in Europe. Join the final workshop in Vienna on Sptember 17th. Get ready to bring your startup to the next level! Leadership & Diversity: well-known speakers will discuss the position of women, their know-how and leading role in organisations and society. Come and learn from international experts how to scale your startup in Europe. Get all the questions about HR, market entry and funding answered you never dared to ask! Get ready to bring your startup to the next level! 25 winners will participate in the mentorship programme of Europe`s Future Innovation Leaders, win cash and enjoy more benefits from EUTOP50 ‘s partners. Startup contest: if you have innovative ideas and business models in the field of intelligent infrastructure and you are ready to implement it, submit your idea and win 4.000 EUR. E-Nigh (The International Entrepreneurs’ Night) is focused on Smart Cities, startups, investors, industry partners and like-minded people meet and discuss how to design the cities of the future. Will welcome more than 20,000 guests across different communities to share and learn about disruptive tech, look into the future impact of technology and celebrate the success of young innovators.